Need Quick and Easy Valentine Decor? Valentine’s Day is next week! Hello February! How are you already half over? Are you feeling that way too? This one is the most complicated of our bunch, but very doable and inexpensive! This is from Landee See Landee Do. 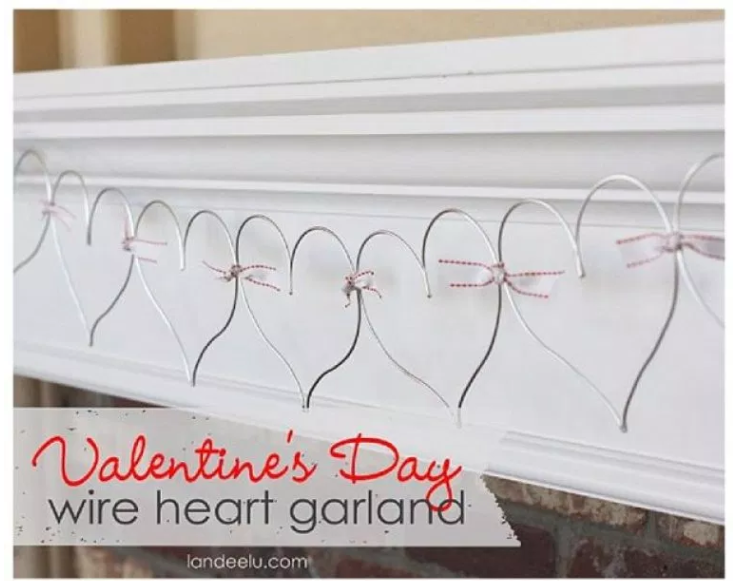 The only supplies needed are wire and whatever you choose to attach the hearts together to create a garland. You can find all the instructions here. No instructions needed - just buy or cut heart shapes out of paper, punch a hole and add a twine/string/yarn hanger. Tie them all together and attach it to a lamp, candlestick, bottles, etc. Again - no instructions needed. Start tearing and cutting the strips into the length you want to tie on your garland string. The Turquoise House provides directions for this DIY. Go here if you would like them. Just print, attach to string and hang! 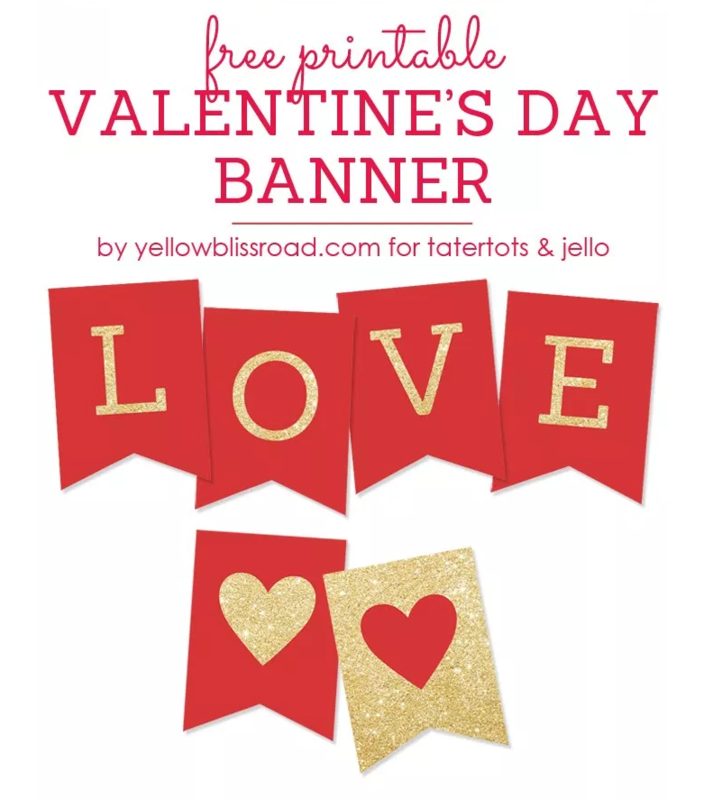 This free printable banner is from Yellow Bliss Road and Tatortots & Jello. Find it here. We are loving the colors and simplicity of this free printable 8x10. It is from Becky at Purposeful Homemaking. The free printable is here. She has you go to Box, but you don’t have to log in or sign up or anything. Just click on the download in the upper right hand corner and it will download the pdf for you to print. Our aim is to help you and we hope we have! Happy Valentine’s Day and a huge thank you to those who share generously! You gotta love that this is what works!! Newer PostWhat Does Order Feel Like To You? Older PostThe Simplest Classroom Valentines!